THE RIVER IS RUNNING AT A PERFECT LEVEL AND THE WEATHER IS DRY AND OVERCAST. YES, IT MAY BE THE LAST DAY OF THE TROUT SEASON BUT, THE GRAYLING FISHING ON KSDAA WATER CONTINUES TILL LATE JANUARY AND BELIEVE ME THERE'S PLENTY OF THEM IN OUR RIVER. HOPE YOU HAVE HAD A GREAT SEASON , STEVE ,JOHN AND STAN . IT'S A BIT DAMP THIS MORNING AND THE RIVER IS STILL IN GOOD CONDITION. MAKE THE MOST OF IT !!! THE EDEN IS RUNNING AT A PERFECT LEVEL FOR FLY AND ITS WET UNDER FOOT AT THE MIN WITH MORE SHOWERS FORECAST. THE RIVER HAS DROPPED TO A NICE LEVEL AND THE WEATHER IS DRY AND CLOUDY. THE EDEN IS STILL DROPPING OFF AND THE CONDITIONS ARE REASONABLE , BUT BELOW THE BELAH AND SCANDAL BECK IT COULD BE HIGHER. THE WEATHER IS DRY AND COOL. THE EDEN IS STILL DROPPING , BUT STILL TO HIGH FOR FLY FISHING. IT'S RAINING AGAIN NOW , SO I WOULDN'T BE SURPRISED IF THE RIVER LEVEL ROSE AGAIN TODAY. IT'S ABSOLUTELY THROWING IT DOWN THIS MORNING AND ITS QUITE BREEZY. THE RIVER IS RUNNING AT A REASONABLE LEVEL , BUT IT IS GOING TO RISE WITH ALL THIS RAIN AS THE DAY GOES ON. THE RIVER CONDITIONS ARE GOOD , BUT THE WEATHER IS NOT THAT GOOD AT THE MIN ,BREEZY/WINDY AND RAINING. THE RIVER IS DROPPING NOW AND IS AT A FISHABLE LEVEL WITH A BIT OF COLOUR IN IT. THE RIVER LEVEL MAY BE A BIT HIGHER BELOW THE BELAH AND SCANDAL BECK , BUT STILL GOOD ENOUGH. THE WEATHER IS CLOUDY WITH SOME SUNNY SPELLS. THE RIVER HAS DROPPED TO A FISHABLE LEVEL WITH SOME COLOUR IN IT , BUT PLENTY OF RAIN HAS FALLEN LAST NIGHT AND IT IS RAINING NOW , SO I WOULD EXPECT THE RIVER LEVEL TO RISE AS THE DAY GOES ON. THE RAIN YESTERDAY BROUGHT THE EDEN UP TO A FAIRLY HIGH LEVEL WHICH IS DROPPING NOW , BUT STILL QUITE HIGH FOR FLY FISHING. NOT A VERY NICE MORNING HERE, WET AND WINDY , BUT THE RIVER CONDITIONS ARE STILL GOOD. FROSTY START THIS MORNING WITH SOME PATCHY CLOUD AND THE RIVER IS RUNNING AT A NICE LEVEL. YESTERDAYS RAIN HAS FOUND IT'S WAY INTO THE EDEN AND THE RIVER LEVEL HAS RISEN A FEW INCHES AND IS IN A GOOD STATE. IT'S DRY AT THE MIN HERE AND QUITE BREEZY. THERE HAS BEEN SOME RAIN AT LAST !!! UNFORTUNATELY IT HAS NOT AFFECT THE RIVER LEVEL WHICH IS STILL LOW. RIVER STILL LOW , BUT FISHING WELL AND THE WEATHER IS DRY WITH SOME PATCHY CLOUD. THERE HAS BEEN SOME RAIN LAST NIGHT , BUT NOT ENOUGH TO AFFECT THE RIVER LEVEL WHICH IS STILL LOW AND THE WEATHER IS CLEAR AND BRIGHT. DULL AND GREY THIS MORNING AND THE RIVER IS STILL LOW. NOT MUCH TO WRITE REALLY , NO RAIN , RIVER STILL LOW. DRY, COOL ,SUNNY MORNING AND THE RIVER CONDITIONS ARE STILL LOW. THERE HAS BEEN SOME RAIN OVERNIGHT , BUT IT HAS NOT AFFECTED RIVER LEVELS WHICH ARE STILL LOW. THE WEATHER IS DRY, BRIGHT AND BREEZY. THE RIVER IS STILL RUNNING LOW, BUT FISHING WELL AND IT'S CLOUDY, QUITE WARM AND GOING TO GET WARMER. THE RIVER CONDITIONS ARE STILL LOW AND ITS CLOUDY AND QUITE WARM. THE RIVER LEVEL IS STILL LOW , BUT BESIDES THAT IT IS FISHING VERY WELL. THE WEATHER IS MORNING IS DRY AND OVERCAST. THERE HAS BEEN SOME LIGHT RAIN OVERNIGHT , BUT THE RIVER CONDITIONS ARE STILL LOW. KIDS ARE GOING BACK TO SCHOOL , SO THE WEATHER IS BEAUTIFUL AND THE RIVER IS STILL LOW . GOT A REPORT OF SOMEONE CATCHING 18 FISH THIS WEEKEND,SO ITS FISHING VERY WELL. COOL AND CLEAR THIS MORNING AND THE RIVER IS STILL LOW , BUT FISHING WELL. THE RIVER CONDITIONS ARE STILL LOW AND CLEAR . THE WEATHER IS CLOUDY WITH QUITE A STRONG BREEZE. 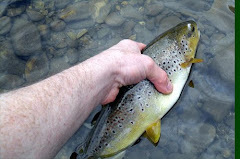 WEATHER IS GOOD AND THE RIVER CONDITIONS ARE STILL LOW, BUT FINE FOR A DAY ON THE EDEN. RIVER CONDITIONS ARE A BIT ON THE LOW SIDE, BUT STILL FINE AND THE WEATHER IS OVERCAST AND DRY. CLOUDY AND DRY AT THE MIN AND YES , YOU GUESSED IT, THE RIVER CONDITIONS ARE GOOD IF NOT SLIGHTLY LOW , BUT STILL FINE. IT SOUNDS STRANGE TO SAY, BUT A BIT OF RAIN WOULDN'T DO ANY HARM. THE RIVER IS STILL RUNNING AT A TYPICAL SUMMER LEVEL AND THE WEATHER IS DRY AND CLOUDY. COOL START THIS MORNING WITH PATCHY CLOUD AND THE RIVER IS RUNNING AT A NICE SUMMERTIME LEVEL. LOOKS LIKE ITS GOING TO BE A VERY WARM, SUNNY DAY AND THR RIVER IS STILL AT A NICE LEVEL . RIVER CONDITIONS ARE STILL GOOD AND THE WEATHER IS DRY WITH SUNNY SPELLS. PLENTY OF CLOUD COVER AT THE MIN AND THE RIVER IS STILL SPOT ON. ITS A CHILLY, CLEAR MORNING AND IT LOOKS LIKE ITS GOING TO BE FAIRLY WARM , SO THERE COULD BE A GOOD EVENING RISE. RIVER CONDITIONS STILL GOOD. SORRY THAT THERE WAS NO BLOG THIS MORNING , PROBLEMS WITH THE SERVER , I THINK. RIVER STILL GOOD BY THE WAY. The river's still in good condition. I've had reports of several good fish caught this week. Now's the time to go for it!! ITS DRY AND SUNNY THIS MORNING AND THE RIVER IS STILL SPOT ON. LOOKS LIKE WERE IN FOR A VERY NICE WARM DAY AND THE RIVER CONDITIONS ARE STILL SPOT ON. AS JOHN HAS SAID MAKE THE MOST OF IT . ALL IS WELL HERE, RIVER AT A NICE LEVEL WITH A TINGE OF COLOUR IN IT AND THE WEATHER IS DRY WITH SUNNY SPELLS. A dry day yesterday means that today's going to one of the few days this summer when the river should be in pretty good condition. The forecast for the rest of the week looks good too. If you can book last minute holidays now's the time to do it!!! Another damp day yesterday that didn't amount to much rain is unlikely to have had much impact on water levels. The river is unlikely to have changed from yesterdays conditions. Yesterdays constant drizzle didn't amount to much but may have affected river levels. The Met office are predicting a half decent day for today so it could be worth a shot. As usual though, the upper reaches may be in better condition than the lower ones. THE RIVER LEVEL HAS DROPPED TO A NORMAL LEVEL AND THE COLOUR HAS DROPPED OUT . THERE HAS BEEN SOME RAIN OVERNIGHT AND IF THE WEATHER FORECAST IS RIGHT PLENTY MORE TO COME, SO GET A MOVE ON !!! THE RIVER HAS DROPPED TO A FISHABLE LEVEL WITH A TINGE OF COLOUR IN IT AND THE WEATHER IS SHOWERY WITH SUNNY SPELLS. THE EDEN IS DROPPING SLOWLY , BUT THE RIVER LEVEL IS STILL TO HIGH FOR A COMFORTABLE DAYS FLY FISHING FOR OTHER METHODS LIKE WORM/SPINNING THE CONDITIONS ARE GOOD. ALL YESTERDAYS RAIN HAS FOUND IT'S WAY INTO THE EDEN AND IT IS UNFISHABLE. ITS A WET MORNING AND THE FORECAST IS NOT GOOD. THE EDEN IS STILL RUNNING AT A NICE LEVEL . THE EDEN IS STILL RUNNING CLEAR AND AT A NORMAL SUMMER HEIGHT . THE WEATHER IS BEAUTIFUL HERE THIS MORNING, BUT I WOULD MAKE THE MOST OF IT BECAUSE IT'S GOING DOWN HILL RAPIDLY TOMORROW. THERE HAS BEEN SOME RAIN OVERNIGHT , BUT ITS NOT RAINING AT THE MOMENT AND THE RIVER IS STILL RUNNING AT A NICE LEVEL. After a dry day yesterday, the river should be in pretty good form again. Grab it while you can - according to the Met Office there's more rain on the way for tomorrow. ITS A VERY NICE DAY UP HERE , MAY NOT BE THE BEST DAYTIME CONDITIONS ,BIT BRIGHT , BUT WOULD EXPECT IT TO BE A VERY GOOD EVENING RISE WITH REPORTS OF SEVEN FISH BEING CAUGHT IN JUST OVER THREE HOURS ONE EVENING THIS WEEK. IT'S A VERY NICE MORNING HERE AND THE RIVER IS IN PERFECT CONDITION. RIVER CONDITIONS ARE STILL GOOD AND THE WEATHER IS DRY , COOL AND SOME PATCHY CLOUD. THE EDEN HAS DROPPED TO A GOOD LEVEL WITH A TINGE OF COLOUR IN IT AND THE WEATHER IS DRY AND OVERCAST. ALL IN ALL PRETTY GOOD FOR A DAY ON THE RIVER. 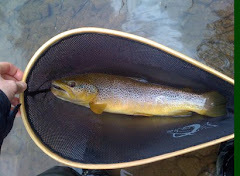 THE RIVER CONDITIONS ARE IMPROVING AND THE EDEN IS FISHABLE , BUT ITS NOT IDEAL AND BELOW THE RIVER BELAH WILL BE WORSE. THE WEATHER IS DRY AND OVERCAST. THE RIVER LEVEL IS DROPPING , BUT IT IS STILL TO HIGH FOR A SESSION WITH FLY AND ALSO VERY DIRTY. UNFORTUNATELY THE EDEN HAS STARTED RISING QUICKLY IN THE LAST FEW MINS AND LOOKS LIKE IT WILL MAKE THE CONDITIONS DIFFICULT WITH A FLY .JUST ANOTHER ILLUSTRATION ON HOW QUICK CONDITIONS CHANGE HERE. SORRY. THE RIVER CONDITIONS ARE STILL GOOD . THE WEATHER IS WET AND BREEZY AT THE MOMENT ,BUT THE WEATHER IS FORECAST TO IMPROVE THROUGH THE DAY. WERE ON A GOOD RUN AT THE MOMENT. CONDITIONS ARE SPOT ON WITH BOTH THE WEATHER AND THE RIVER. THE RIVER CONDITIONS ARE STILL GOOD AND THE WEATHER IS DRY AND OVERCAST. ITS A OVERCAST ,DRY MORNING AND THE RIVER IS RUNNING CLEAR AT A NORMAL HEIGHT. THE RIVER CONDITIONS ARE STILL GOOD. THE WEATHER IS DRY , CLEAR AND QUITE COOL. THE RIVER CONDITIONS ARE SPOT ON AND THE WEATHER IS DRY AND SUNNY. AT LAST !!! THE RIVER IS AT A NICE HEIGHT AND THERE IS STILL A BIT OF COLOUR IN IT, ALL IN ALL JUST ABOUT PERFECT. THE WEATHER IS BREEZY WITH PATCHY CLOUD AND DRY !!! THE EDEN HAS FINALLY DROPPED TO A REASONABLE LEVEL WITH A BIT OF COLOUR IN IT AND IS FISHABLE AT KIRKBY STEPHEN. THE RIVER LEVEL MAY BE HIGHER DOWNSTREAM OF THE BELAH, BUT SHOULD BE OK. The river was clearing out nicely (in Appleby) yesterday evening. However, there have been a shower or two overnight and this may have had some impact. As usual, the upper reaches offer the best chance of decent conditions. After another dry day yesterday and little overnight rain (here), the river should be getting to something like fishable. However, if the showers that are coming through now continue we could be back to square one again. If that's the case, over the hill at Bessybeck is your best option! A dry day yesterday and very little overnight rain. If the slight drizzle that's happening now doesn't get any worse, the river may be worth a go today. The upper river looked to be dropping and clearing nicely yesterday evening. After another day of rain yesterday, the river is unlikely to be fishable until tomorrow at the earliest. Any more rain before then and it will be longer. Last night the river (and becks) around Appleby were carrying a lot of colour that's unlikely to clear quickly. I thought about taking up golf but the holes are probably full of water! THE RAIN IS STILL RUNNING OFF AND THE RIVER IS FISHABLE IN AREAS UPSTREAM OF THE RIVER BELAH AND PERHAPS A FEW AREAS BELOW THE BELAH. IF NO MORE RAIN FALLS IT WILL PROBABLY BE OK TOMORROW. FOR THE FIRST TIME IN A LONG TIME !!!! YESTERDAYS RAIN JUST TOPPED IT UP AND THE RIVER ROSE SLIGHTLY. DROPPING AGAIN NOW , BUT STILL TO HIGH FOR FLY FISHING. THE RIVER HAS STILL NOT RECOVERED FROM THURSDAYS TORRENTIAL RAIN WHICH CAUSED FLOODING AND DAMAGE TO A FEW PROPERTIES UP IN MALLERSTANG .IT IS STILL RUNNING A VERY MUDDY COLOUR UP HERE AND IT IS RAINING NOW SO I WOULD EXPECT THE RIVER LEVEL TO RISE AGAIN. After yet another night of rain the river is up and coloured again. This season is rapidly becoming one where it's essential to drop everything and grab your chances when the river does get to something like reasonable condition. 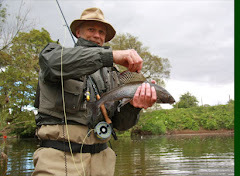 Trout are still being caught in good numbers during the brief good spells. THE RIVER CONDITIONS ARE THE SAME AS YESTERDAY, DROPPING AND COLOURED AND FISHABLE . THE WEATHER IS DRY AND SUNNY. THE RIVER IS DROPPING SLOWLY AFTER SHOOTING UP YESTERDAY DINNER TIME. AT THE MOMENT IT IS TO HIGH FOR FLY FISHING (POSSIBLE IN A FEW SPOTS) AND STILL QUITE DIRTY AND I THINK IT WILL BE EVEN WORSE DOWNSTREAM. THERE'S BEEN SOME MORE RAIN OVERNIGHT AND ITS RAINING NOW. THE RIVER IS RUNNING A PEAT BROWN COLOUR , BUT IT IS FISHABLE AT KIRKBY ,BELOW THE RIVER BELAH IT COULD BE A DIFFERENT STORY. ITS RAINING AT THE MOMENT AND HAS BEEN DOING ON AND OFF SINCE YESTERDAY AT 3PM ISH. THE RIVER LEVEL IS STILL OK , BUT AT SOME POINT I WOULD EXPECT THAT THE RIVER LEVEL WILL RISE BECAUSE THE GROUND IS ALREADY SOAKED. THE EDEN IS TAKING ITS TIME DROPPING , BUT IS FISHABLE AT KIRKBY STEPHEN AND DOWN TO THE RIVER BELAH . MORE THAN LIKELY THE BELAH WILL BE BRINGING LOTS OF WATER IN SO CONDITIONS COULD BE VERY DIFFERENT DOWN THERE. PLENTY OF RAIN FELL YESTERDAY AND AS A CONSEQUENCE THE EDEN SHOT UP OVERNIGHT AND IS UNFISHABLE WITH FLY. SERIOUSLY THINKING OF CHANGING MY HOBBY TO WHITE WATER RAFTING !!! Despite the odd shower yesterday and overnight, the river's still likely to be OK. It may be better, as usual, above the Belah. It's overcast and trying to rain so Steves recommendation for a coat still stands. ITS RAINING AT THE MIN , BUT IT HAS NOT AFFECTED RIVER CONDITIONS WHICH ARE PERFECT . JUST PUT A COAT ON. QUITE CHILLY THIS MORNING , BUT DRY AND THE RIVER CONDITIONS ARE STILL VERY GOOD. WELL ITS A FINE , BRIGHT MORNING AND THE RIVER CONDITIONS ARE NEAR PERFECT , IF YOU PHONE THE BOSS NOW YOU COULD BE HERE BEFORE 11am ( IF YOU WORK FOR ME THE ANSWER IS NO) . THANKS TO JOHN FOR COVERING THE BLOG FOR THE LAST COUPLE OF WEEKS WHILE I WAS FIGHTING WITH MY P.C . River conditions (at Kirkby Stephen) look just about right for a session with the fly - grab it while you can. If only I didn't have to work! With relatively little rain fall yesterday and overnight the river's starting to drop to more normal level at last. There's still some colour but it could be worth a trip today. More rain overnight (and now) means there's unlikely to be any change on recent conditions. After more overnight rain the river's changed little from yesterday. It's still likely to be hard going. With little, if any, rain over the last 24 hours the river is finally starting to drop to something like normal. There's still some colour in it and it could still be hard going with the fly. A bit less rain over the last 24 hours and the river's starting to drop back. However, it's still quite coloured at Kirkby Stephen and likely to be more so below the Belah. It'll still be hard going with a fly rod. After more rain overnight the river's flooded and still getting higher. Does anyone have plans for a DIY ark (with fishing deck of course)? Despite yesterdays prolonged rain, the river is actually starting to fall. However, it's still high and dirty and the outlook for the rest of the week is not promising. If you don't already have a 'plan B' now's the time to make one. Rain during most of yesterday and overnight has put the river out again. Best chance of a fish today is to go down the road to Bessybeck! The river's dropped back and cleared again. However, it could still be difficult fishing below the Belah and/or Scandal Beck. Weather at the minute is overcast with a few spots of light rain. There's more rain forecast so conditions could change rapidly. After heavy overnight rain the river's up and coloured again. Time to stock up the fly boxes? The river is back at a good height and carrying just a tinge of colour. Provided that the weather stays OK, today could be the day to cash in those brownie points you've been earning while the river's been out. It's cool and overcast with little, if any, wind. After a little overnight rain the river is looking in good condition. If only I didn't have to work!!! The river's falling and clearing. Conditions should be right for a fish or two but the cold wind is likely to keep them away from the surface. There was a good hatch of BWOs and Pale Wateries last night (and fish rising). However, the duns were being ignored and it took a nymph just sub surface to tempt one. It's sounding like last Thursdays thunderstorm has done for Steve's modem and hence this report will be second hand until further notice. Although the river's started to fall after yesterdays heavy rain (at Kirkby Stephen but not Appleby), it's still out as far as fly fishing goes. If worm drowning is your thing it could be a different story. Apparently the river is still fishable at Kirkby Stephen. However, following a bit of a cloudburst yesterday morning (at Appleby) I had a phone call yesterday lunchtime saying that the river was flooded at Musgrave. If you're out today don't forget that, downstream of the Belah (and possibly Scandal Beck) the conditions can be totally different to those above. A text from Steve (who's currently suffering PC problems) tells me that the river's in good condition. However, the Belah was bringing a lot of dirty water in last night and I suspect that might still be the situation. If you're out today, the best option will almost certainly be upstream of the Belah confluence on the main river. With a bit less rain falling over the last 24 hours, the river's dropping back to a fishable level. However, the Belah could still be bringing some dirty water into the main river so it may be worth fishing above here if the water below it is still coloured. The weather's good with high cloud and hardly any wind. AFTER YESTERDAYS FLOOD THE EDEN HAS DROPPED TO A HEIGHT WHERE IT IS POSSIBLE TO FISH .THERE IS A BIT OF COLOUR IN THE WATER AND IT MAY BE HIGH WHERE BECKS COME IN. THE WEATHER IS DRY ,WARM AND CLOUDY. LAST NIGHT THERE WAS SOME VERY HEAVY RAIN AND THIS MORNING THE RIVER IS RISING RAPIDLY (WHILST CHECKING IT THIS MORNING IT ROSE AT LEAST 6/7 INCHES IN A FEW MINS, NEVER SEEN THAT BEFORE ! )AND IS TOTALLY UNFISHABLE. THE EDEN IS RUNNING AT A VERY NICE HEIGHT STILL WITH A TINGE OF COLOUR IN IT AND THE WEATHER IS DRY AND OVERCAST. THE RIVER CONDITIONS ARE GOOD , JUST A SLIGHT TINGE OF A BEER COLOUR IN THE WATER AND A NICE HEIGHT. THE WEATHER IS A BIT COOL THIS MORNING WITH A STIFF BREEZE AND LOTS OF CLOUD. THE EDEN HAS DROPPED TO A FISHABLE LEVEL , IT'S STILL A BIT DIRTY AND MAY BE A BIT HIGH IN SPOTS WHERE A BECK COMES IN (SCANDAL OR THE BELAH) ,BUT DEFINITELY FISHABLE. THE WEATHER IS DRY AND OVERCAST AND QUITE WARM. AS PREDICTED THE EDEN SHOT UP YESTERDAY . IT IS DROPPING NOW BUT, THE CONDITIONS FOR FLY FISHING ARE DIFFICULT ,IF NOT IMPOSSIBLE . ONE PLUS IS THAT IT'S NOT RAINING AT THE MIN AND NOW I DON'T HAVE TO BUILD AN ARK ! WET AND WINDY AGAIN !! THE EDEN IS STARTING TO DROP AND IS FISHABLE AT THE MIN ,BUT THERE HAS BEEN A LOT MORE RAIN OVERNIGHT AND IT'S RAINING NOW SO RIVER LEVELS WILL PROBABLY RISE AS THE DAY GOES ON. STAY AT HOME ! NOT A VERY NICE DAY HERE ,IT'S RAINING AND QUITE BREEZY . ALL THE RAIN OF THE LAST 24HRS HAS FOUND IT,S WAY IN THE EDEN AND BROUGHT IT UP 4/5 INCHES AND I WOULD EXPECT IT WILL RISE SOME MORE AS THE DAY GOES ON AND THE WATER IS QUITE DIRTY. THERE HAS BEEN SOME MORE RAIN OVERNIGHT, BUT IT HAS NOT AFFECTED THE RIVER LEVEL AND THE WEATHER IS CLOUDY AND DAMP. LAST NIGHTS THUNDERY HEAVY RAIN HAS PUT A BIT OF FRESH WATER IN THE EDEN WHICH IS RUNNING IN FROM HARTLEY BECK SLIGHTLY DIRTY AND POSSIBLY A FEW OTHER BECKS IN THE UPPER EDEN AREA, BUT THE EDEN IS STILL LOW. THE WEATHER IS DAMP UNDER FOOT AND CLOUDY. LOOKS LIKE ANOTHER WARM DAY IN STORE AND NO SIGN OF ANY RAIN AS YET. THE EDEN IS STILL LOW ,BUT STILL FISHING WELL IN THE EVENING. According to the Met Office web site and judging by the weather at the minute, it looks like we're in for a re-run of yesterday. There could be shower or two later which would freshen things up a bit - but don't hold your breath. There's unlikely to be any change in river levels as there's been no rain overnight. If you're fishing today, don't forget to put the beer in the fridge before you go! It looks like being another scorcher. The sun's already burning off the mist. Bearing in mind the fact that I don't have the same ring side seat as Steve, there's been no rain and I suspect the river will still be pretty low. Perhaps today's the day to cut the grass and leave the fishing until this evening. However, there will no doubt be fish to be had from shady stretches. It is a cool, overcast morning and there is little to no breeze. The Eden is running perfectly and has a good colour to it. CLOUDY THIS MORNING WITH A SLIGHT BREEZE. THE RIVER CONDITIONS ARE STILL GOOD , BUT A BIT OF FRESH WATER IN IT WOULDN'T DO ANY HARM. LOOKS LIKE ANOTHER HOT DAY IS IN STORE AND THE RIVER IS RUNNING AT A SLIGHTLY BELOW AVERAGE HEIGHT. IT'S WARM AND CLOUDY THIS MORNING AND THE RIVER CONDITIONS ARE STILL GOOD. IT'S WARM AND SUNNY THIS MORNING ,THERE WAS SOME RAIN LAST NIGHT, BUT IT HASN'T AFFECTED THE RIVER LEVEL WHICH IS STILL OK. THE EDEN IS STILL RUNNING AT A REASONABLE HEIGHT AND THE WEATHER IS DRY AND SUNNY WITH SOME PATCHY CLOUD. IT'S A BRIGHT, WARM MORNING AND LOOKS LIKE IT'S GOING TO GET QUITE HOT. 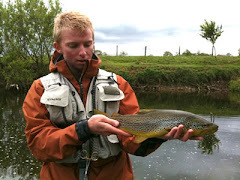 THE EDEN IS STILL RUNNING AT AN AVERAGE SUMMER LEVEL , WITH REPORTS OF LOT'S OF FISH BEING CAUGHT. VERY NICE SUNNY MORNING, BUT A BIT COOL. THE RIVER IS STILL IN GOOD CONDITION FOR A DAYS FISHING. THE RIVER CONDITIONS ARE STILL GOOD AND IT'S A COOL , BRIGHT MORNING. THE RIVER CONDITIONS ARE STILL GOOD AND THE WEATHER IS DRY AND SUNNY. THE RIVER IS STILL RUNNING A IT'S NORMAL HEIGHT AND IT IS RAINING AT THE MIN. Grey skies and much lower temperatures than yesterday. The river is running well and eminently fishable. Rain is forecast. AN OVERCAST MORNING WITH SOME PATCHY DRIZZLE . THE EDEN IS UNCHANGED ,WITH GOOD CONDITIONS. VERY NICE MORNING HERE AT THE MIN. THERE HAS BEEN NO CHANGE IN THE RIVER LEVEL WHICH IS ABOUT NORMAL AND RUNNING CLEAR. IT'S A NICE SUNNY MORNING AND IT'S DRY. THE RIVER CONDITIONS ARE STILL VERY GOOD. THE RIVER IS AT A PERFECT HEIGHT AND THE WEATHER IS DRY, OVERCAST AND BREEZY. ITS OVERCAST AND DRY , BUT WARM. THE EDEN IS RUNNING AT A VERY NICE HEIGHT . THE EDEN HAS DROPPED TO A REASONABLE HEIGHT AND THE WEATHER IS DRY AND SUNNY. THE RIVER HAS DROPPED A LOT , BUT IS STILL A BIT ON THE HIGH SIDE WILL SOME COLOUR IN IT AND IT WOULD BE A DIFFICULT DAYS FISHING WITH A FLY. THE WEATHER IS DRY WITH SOME SUNNY SPELLS. NOT A VERY NICE MORNING HERE WITH FREQUENT SHOWERS AND STRONG WINDS. ALL THE RAIN IS IN THE EDEN NOW AND IT IS UNFISHABLE WITH A FLY AND JUDGING BY THE AMOUNT OF RAIN THAT'S FALLING I DON'T THINK IT WILL BE ANY GOOD ALL WEEKEND. IT'S A DAMP WINDY MORNING, BUT QUITE WARM. THE EDEN IS STILL ABOVE ITS AVERAGE LEVEL AND IT IS FISHABLE AT KIRKBY STEPHEN , BUT IT MAY BE A DIFFERENT STORY DOWNSTREAM BECAUSE THERE ARE SEVERAL STREAMS FEEDING THE RIVER. THE EDEN HAS COME UP SLIGHTLY OVERNIGHT , BUT IT IS STILL RUNNING CLEAR AND IT IS FISHABLE. THERE HAS BEEN MORE RAIN OVERNIGHT AND I WOULD EXPECT IT TO AFFECT RIVER LEVELS LATER IN THE DAY. IT IS WET AND DULL THIS MORNING. THE EDEN HAS FINALLY DROPPED AND IS SLIGHTLY ABOVE NORMAL HEIGHT. THE WEATHER IS DRY AND OVERCAST. ALL OF THE WATER IS FINALLY DROPPING OUT AND HAS LEFT THE EDEN SLIGHTLY ABOVE NORMAL AT KIRKBY STEPHEN ,BUT FURTHER DOWN STREAM IT MAY BE A DIFFERENT STORY AS THERE ARE SEVERAL LARGE TRIBUTARIES WHICH WILL BE PUTTING IN MORE WATER. A LOT MORE RAIN FELL YESTERDAY EVENING AND LAST NIGHT WHICH HAS LEFT THE EDEN UNFISHABLE WITH FLY AGAIN. THE EDEN HAS DROPPED SLIGHTLY FROM YESTERDAY AND SOME OF THE COLOUR HAS DROPPED OUT , BUT IT IS STILL TO HIGH (IN MY OPINION) FOR A DAYS FLY FISHING. ALL THE LAST FEW DAYS RAIN HAS BROUGHT THE EDEN UP EVEN MORE THAN YESTERDAY AND IT IS STILL UP , LEAVING IT UNFISHABLE WITH FLY. ALL THE RAIN FOUND IT'S WAY IN LATE YESTERDAY AND BROUGHT THE EDEN UP SEVERAL INCHES. THE RIVER STILL HAS NOT DROPPED TO IT'S NORMAL LEVEL AND IT IS RUNNING WITH SOME COLOUR IN IT, SO FISHING WITH A FLY WOULD BE DIFFICULT, BUT POSSIBLE IN THE SLOWER POOLS. NOT A VERY NICE DAY HERE AT THE MOMENT. IT'S WET,WINDY AND QUITE COOL. THE EDEN IS STILL RUNNING AT IT'S NORMAL HEIGHT , BUT I WOULD EXPECT THAT ALL THIS RAIN WILL AFFECT RIVER LEVELS MUCH LATER IN THE DAY. THE RAIN OF THE LAST FEW DAYS EVENTUALLY FOUND IT'S WAY IN TO THE EDEN AND THE WATER LEVEL ROSE A FEW INCHES, BUT IT HAS DROPPED OFF AND IT IS NOW RUNNING SLIGHTLY HIGHER THAN NORMAL WITH A TINGE OF COLOUR IN IT AND FISHABLE. SOME SHOWERY RAIN THIS MORNING AND OVERNIGHT , BUT THIS HAS NOT AFFECTED THE RIVER LEVEL WHICH IS STILL ABOUT NORMAL. ITS BRIGHT WITH SOME PATCHY CLOUD THIS MORNING AND A STIFF BREEZE. THE RAIN FROM THE LAST 24 HRS HAS NOT MADE IT'S WAY IN TO THE RIVER AND THE CONDITIONS ARE STILL GOOD. THERE HAS BEEN SOME RAIN OVERNIGHT AND THIS MORNING THERE IS SOME PATCHY CLOUD WITH QUITE A STRONG BREEZE. THE EDEN IS STILL IN GOOD CONDITION WITH SEVERAL FISH BEING CAUGHT. THE EDEN IS STILL RUNNING AT ABOUT IT'S AVERAGE HEIGHT AND THERE IS PLENTY OF CLOUD COVER AT THE MIN AND IT IS QUITE WARM . ANOTHER NICE DAY (SLIGHTLY COOLER) AND THE RIVER IS STILL AT A GOOD FISHABLE HEIGHT. LOOKS LIKE IT'S GOING TO BE WARM AGAIN AND THE RIVER CONDITIONS ARE STILL GOOD. THE RIVER IS RUNNING CLEAR AT IT'S NORMAL HEIGHT AND THE WEATHER IS DRY AND SUNNY. THE EDEN IS RUNNING AT AN AVERAGE HEIGHT AND THE WEATHER IS BRIGHT AND COOL.